Peterhead FC has announced that top striker Rory McAllister has extended his contract for a further two years. Peterhead FC has announced that top striker Rory McAllister has agreed to a two-year contract extension thus ending the recent transfer speculation. Dundee United FC had been given permission to speak with Rory, which did cause a degree of consternation at the club. 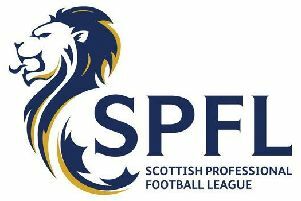 However PFC vice-chairman, Ian Grant, said It has always been the club's policy to encourage and never stand in the way of any of its players if the opportunity came along and if they felt they wanted to advance their playing career with a full-time club. "On this occasion, having spoken with Dundee United, Rory felt that his future would be better spent continuing his goal scoring exploits at Balmoor," said Mr Grant. "He has a wife and young family and is well settled and at 29, he thought it was probably too late to disrupt his entire family to take a chance on a one-year deal with a Championship club. "As a reward for his loyalty and to end any future disruption, the club has offered to extend Rory’s existing contract for a further two years (until 2018/19 season). "Rory was keen to accept and we are all delighted with his decision and are totally focused on the season ahead," he added.